Reykjavík nightlife is known for being the hottest in Europe. Famous for its many lively cafés, bars and clubs, Reykjavík has gained a reputation as a hot destination for those who love the nightlife. 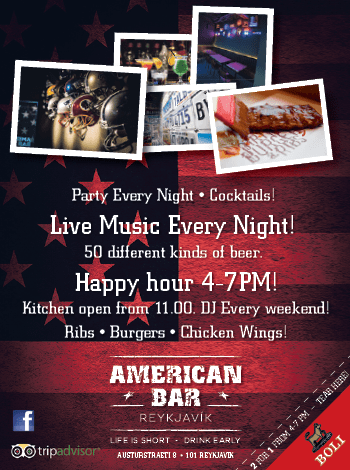 Choose your mood and pick the venue accordingly – there is something for everyone! Much of Reykjavík’s nightlife is concentrated on four streets within 1 km radius of each other. A piece of advice to “first-timers”: Do not expect to see too many people downtown early in the evening on weekends. Reykjavík nightlife doesn’t really start until around midnight, because most people are at private parties until then or making use of Happy Hour which is offered by most places. A lot of the cafés are also bars and take on a different feel in the evenings. 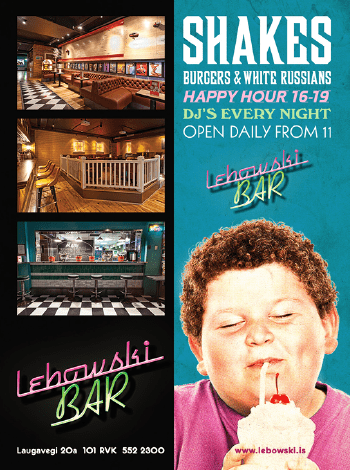 Enjoy a pre-club meal at Geysir Bistro, or enjoy a pub quiz at Lebowski Bar before moving on to serious nightclubbing. 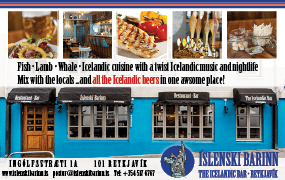 For those who wish to try national authenticity, go to Icelandic Bar (Íslenskibarinn) for an Icelandic culinary session washed down with a good Icelandic beer, or stop off at Den Danske Kro for a taste of Denmark. 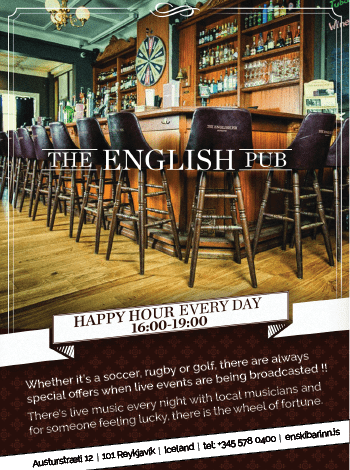 If you are an English football fan, make your way to the English Pub and check out the score with a cold beer, stay on longer and enjoy some live music form Icelandic troubadors. 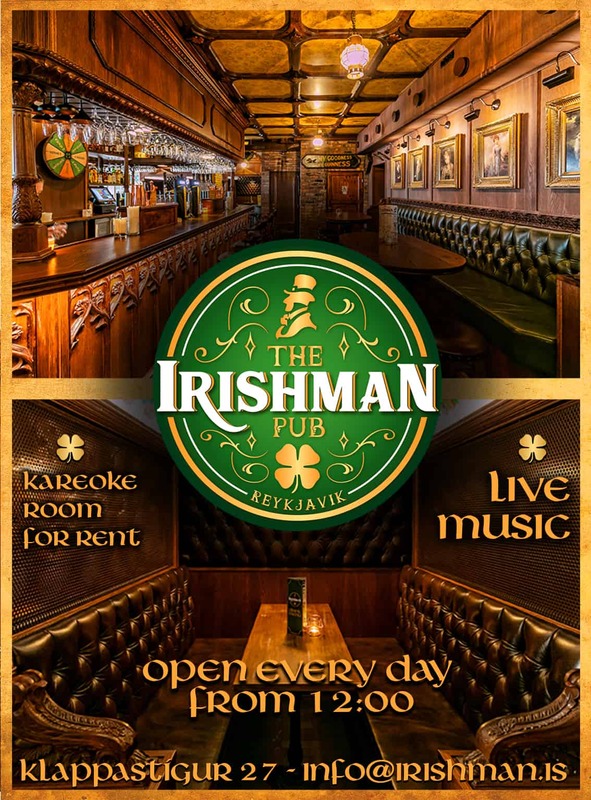 The Irishman Pub is a great place for a darts game and some live music. 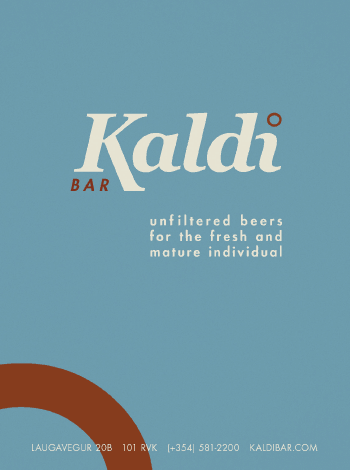 Meet the locals at Kaldi Bar in Laugarvegur, which sells beer from its own microbrewery. 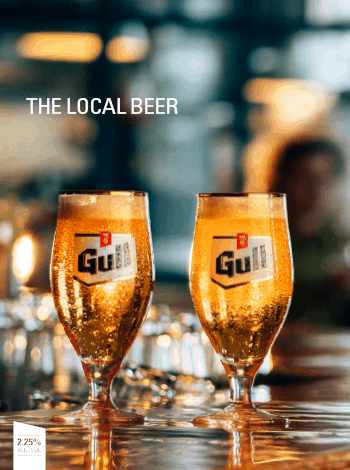 Prices vary between places, but on average the range is between 2,000 – 3,000 kr for a meal and 1,000 – 1,500 kr for a large beer.. 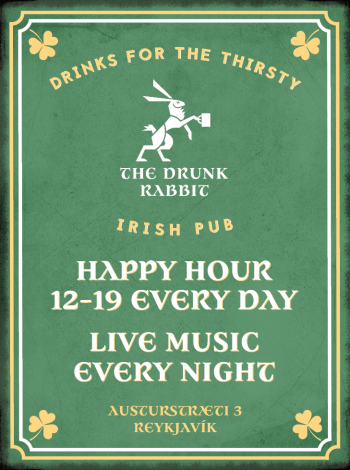 Many bars have happy hour where selected beers or cocktails are offered at reasonable prices. 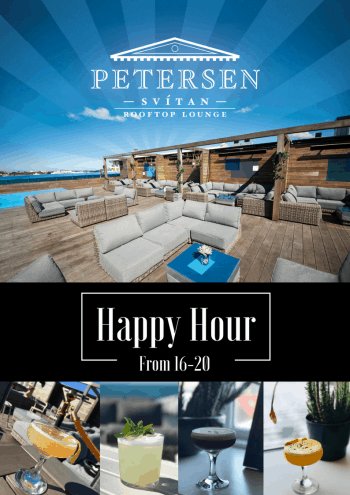 Enjoy a great cocktail while admiring the view from Petersen Svitan or you could laugh at The Drunk Rabbit while downing a Guinness. 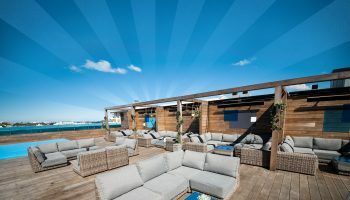 Many bars have happy hour between 17:00 and 19:00 where selected beers or cocktails are offered at reasonable prices. Most bars and cafés stop serving food at 22:00 or 23:00, but some are still open well into the night on weekends. Closing time is at 1:00 am on weekdays and on weekends it can be as late as 5:00 in the morning. 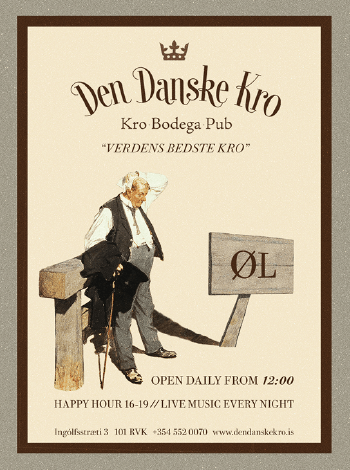 Most places have no entrance fee unless there is live music offered at the venue ( see chapter on Icelandic Music). Before heading back to your hotel, join one of the long queues of Icelanders getting some grub or a juicy sub before bedtime.